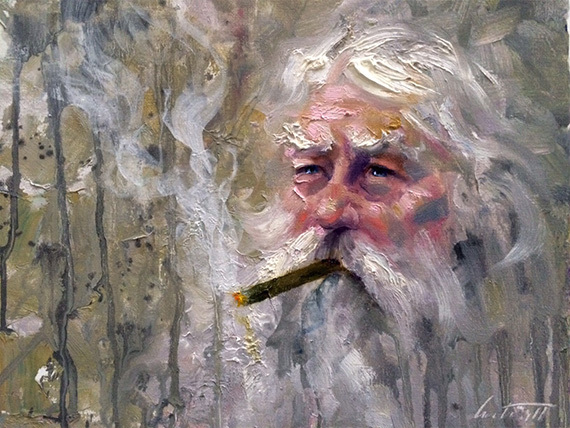 This is the latest in a series of old men enjoying a cigar. It is an 11 x 14 oil on canvas signed by the artist. I’ve enjoyed doing these character studies, a lot of which I see throughout Florida. This is just a nice old guy enjoying his cigar.